Hi Everyone! 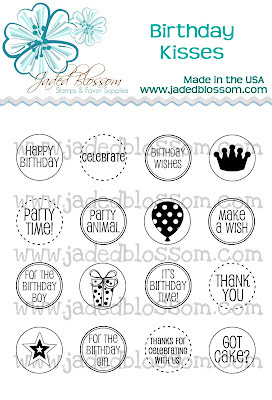 Welcome to day two of the Stamp Release week over at Jaded Blossom!! 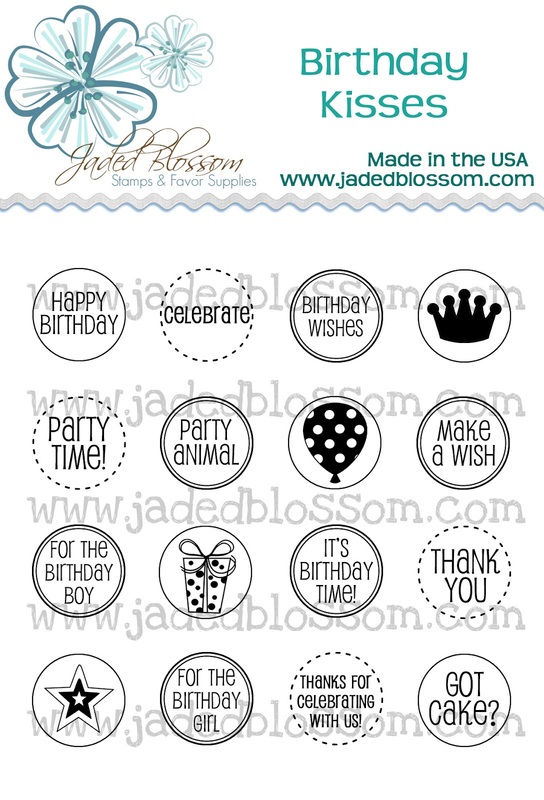 I am LOVING these 3/4th inch circle punches!! 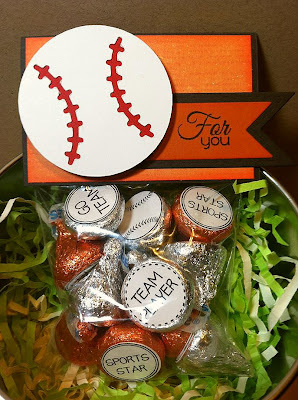 Perfect for the bottom of hershey kisses, rolos, peanut butter cups etc!! Todays Stamp Sets are... Birthday Kisses and Sport Kisses! 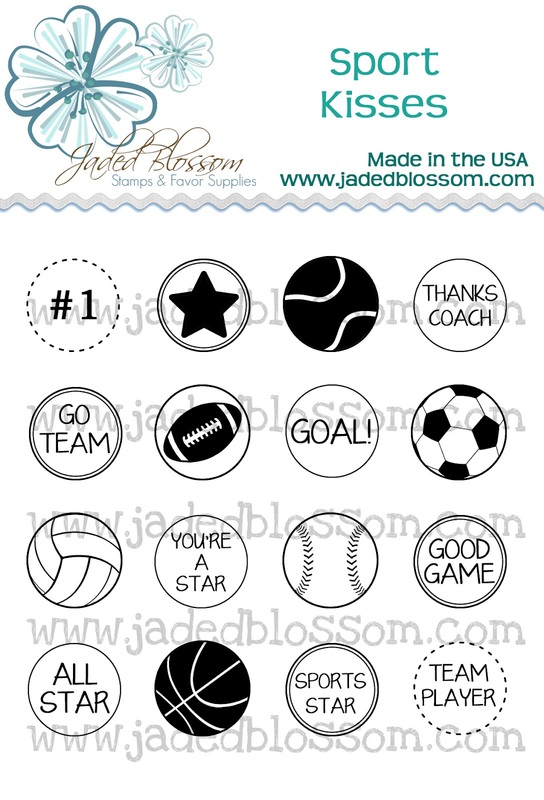 I used Sport Kisses for this project. "For You" is from Simple Sayings. Thanks so much for stopping by! Make sure to come back tomorrow for the last two stamp sets that will be released this week! Love this. Even hubby loves that you used the SF Giant's colors. very cute!!!! I love this! of course very cute !!!!!!!!!!! these are just awesome! my mind can't stop thinking of all the things I can do with these stamps! Your tag is great for a treat for kids in a team. I have lots of those! lol. TFS!